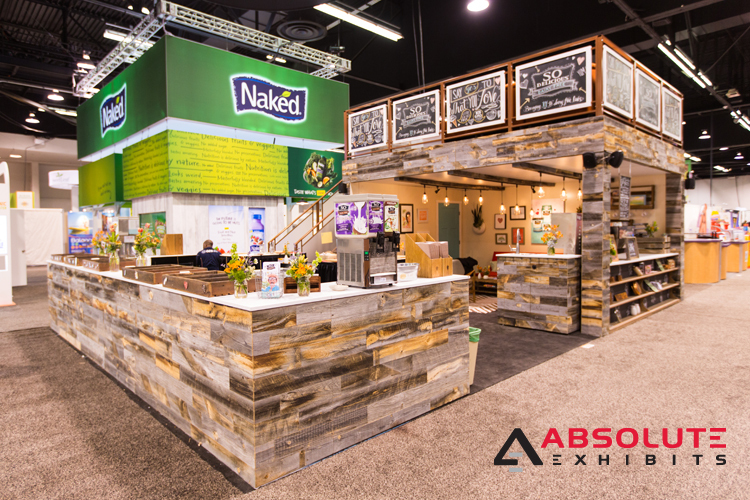 Environmental Sustainability and Trade Show Displays: Not Mutually Exclusive | Absolute Exhibits, Inc. 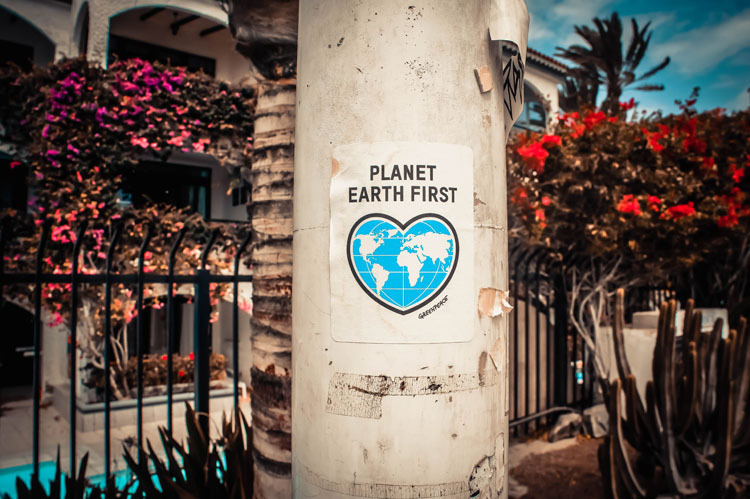 There are a lot of companies that talk the talk about environmental sustainability, but it seems to be all bluster with no action behind it. This is often referred to as “greenwashing campaigns” wherein a business tries to come off as environmentally friendly simply to gain more business from consumers or businesses who identify environmental issues as important purchase drivers. It can seem that in the trade show industry, environmental sustainability would be difficult to achieve. With so many trade show displays constructed of brand new wood, how can you achieve environmental sustainability? We have many clients who rent trade show displays from us for a variety of shows, and after three years, they switch their design. This doesn’t mean that we just throw out the frame, or custom elements. In fact, we house thousands of intricate elements of trade show displays to incorporate these into new designs for new clients. Reusing your display is a great way to contribute to environmental sustainability without the need to just tear it down, send it out to the trash chute and start over at your next show. Not all trade show displays are constructed out of new wood. In fact, many are constructed with materials such as tension fabric, glass, stone, reclaimed wood, and more. Items such as tension fabric and stone are environmentally friendly and are easy to use again and again. When designing your next display, ask your designer how you can introduce environmentally sustainable elements into your display design. They can guide you through the process of creating your green trade show display. When choosing your exhibit design house partner, it’s important to ask if they have a corporate sustainability program. At Absolute Exhibits, we are pleased to donate to One Tree Planted, a nonprofit program which plants trees across North America, South America, Asia, and Africa. We carefully calculate how much wood we use constructing trade show displays and then donate the equivalent amount to this wonderful nonprofit. One dollar can pay for one sapling to grow into a forest of giving. This helps us all for generations to come and contributes to replacing the materials used to construct a display. 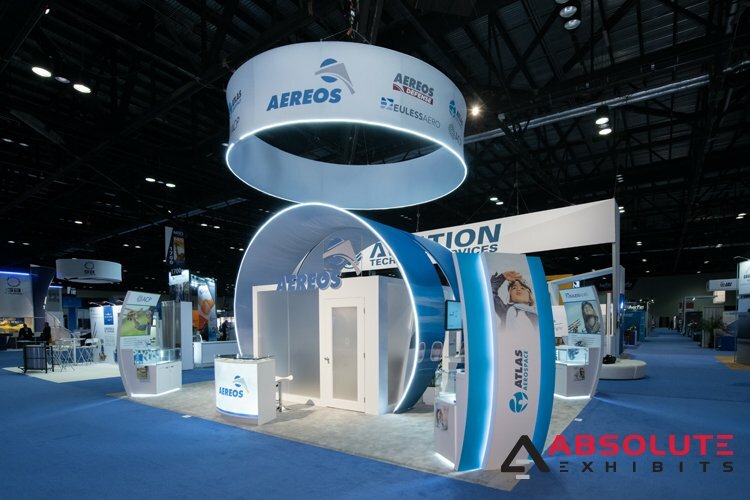 There are thousands of trade shows across the globe every year and if we all do our part to construct and fabricate environmentally sustainable trade show displays, we can truly reduce our environmental footprint and create a more sustainable future.